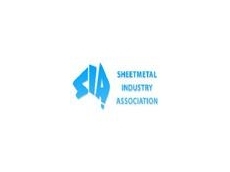 22/11/11 - The Sheet Metal Industry Association of Australia (SIA) was established over 25 years ago by a group of businesses that wanted to ensure a secure future for the sheet metal industry in Australia. As Vice President Walter Suber explains, since then the organisation has lobbied educators at local TAFE technical and further education facilities "to keep up with the emerging technology that keeps our businesses abreast of imported manufactured products." This partnership is vital, he notes, to the long term health of the sheet metal industry in Australia, and important for its potential to attract young people into the high tech industry. While the membership of the SIA is mainly concentrated in the Sydney region, it does have some country-based members in New South Wales. A national based approach is being considered, but Mr. Suber points out that this is a future project that is anticipated in the next five years. The SIA has also recently formed a committee made up of a number of industry owners, suppliers and service providers, which Mr Suber describes as "the voice for our industry." Over the years, the SIA has taken a particularly active role in combating Australia's skills shortages. The inaugural SIA New Apprentice of the Year Awards were created eleven years ago to "recognise the achievements of our best apprentices and to demonstrate to parents and school leavers that the sheet metal trade is an attractive choice," Mr Suber states. These awards are announced at a formal Industry Gala Dinner, which now attracts over 250 guests annually. In addition to the Awards, SIA introduced a sculpture competition seven years ago for school aged students, with the main criterion that the sculpture be made predominantly from metal. This competition has grown rapidly, Mr Suber says, and now attracts entries from all over NSW.